For more than ten years, the Professional Women in Building Council (PWB) has recognized, honored, and supported women in the construction trades, opening new pathways toward continued innovation. Please attend our annual conference and help us celebrate over a decade of making a difference in our communities, with countless educational, networking, and mentorship opportunities. 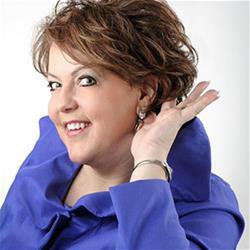 Denise Gabel—The Denise—is an author, speaker, executive, emcee, and coach who is passionate about people and possibilities. She is a connector and a change agent. A lifelong learner, she has been named a Woman to Watch. She is a graduate of Eastern Washington University and Harvard Business School’s Women’s Leadership Forum, as well as a member of the Berkeley Innovation Forum at the University of California Berkeley Haas School of Business. Denise also served as the Chief Innovation Officer at the Filene Research Institute, leading the prestigious i3 innovation program throughout the U.S. and Canada. Captain Piper was born and raised in St. Paul, Minnesota. She attended MIT on a Navy ROTC scholarship, earning a BS and MS in Mechanical Engineering. She served in the Navy for 30 years; as an Engineering Duty Officer, she served at various ship repair facilities and on maintenance staffs. She is an experienced Navy diving and salvage officer. 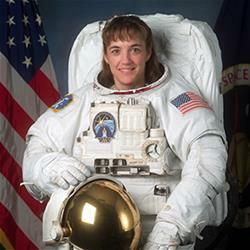 Selected as an astronaut by NASA, she is a veteran of two space flights, logging over 27 days and 15 hours in space. She has completed five space walks, totaling 33 hours and 42 minutes of Extra-Vehicular Activity (EVA). She and her husband currently reside in Oak Harbor, Washington.